Full mouth restoration in Costa Rica is one of the most highly in-demand procedures. Dental tourists flock to this Central American country to take advantage of excellent-quality dentistry at very low costs. Apart from full mouth restoration, people also come for affordable dental implants in Costa Rica. Dental tourists to Costa Rica usually start the process by sending over X-rays or other available images and dental reports to the dental surgeon through email or forwarding company. The consultation then starts with phone and/or email conversations so the patient can discuss possible treatment plans with the dentist. After consultation and treatment planning has been concluded, the appointments are set, and the patient finalizes the itinerary with the clinic. 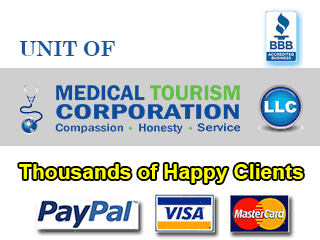 If patient is using a medical tourism agency to facilitate his dental trip to Costa Rica, the medical tourism company helps in ensuring that treatment planning, consultation and composing the itinerary (may include local tours if preferred) become a seamless and stress-free process for the patient. Hotel stays and transfers in between airport-hotel-clinic visits can also be taken care of, at highly discounted rates with the help of medical tourism companies. Patient can get copies of his the dental work done in Costa Rica for his local dental surgeon’s reference, and opt to have work continued by him in his home country. Costa Rica is well known in the world for its excellent healthcare system. Dental clinics in Costa Rica are updated with the latest technological breakthroughs in science and medicine. The dental facilities and equipment are modern, and are used by highly-skilled and internationally-trained dental surgeons. Using a trustworthy medical tourism company is a great way to ensure everything runs smoothly from the dentist selection process to the time a dental patient leaves Costa Rica. They are connected to the best dental experts and clinics in the country. Do some research on the credentials of the dental surgeons and clinics that interest you. If possible, ask for references. They would be glad to provide you with a list of previous patients who can tell you about their own experiences working with the Costa Rican clinic and dentist. A good information packet from a dentist in Costa Rica would include all the details sought by a potential patient. Full mouth restoration in Costa Rica can help a dental tourist save thousands in treatment costs. No wonder people seeking dental treatments are flying down to this country to avail high quality work for a significantly lower price.